The goal of medical research is to find answers that will improve the lives of patients. But how can we be sure the answers really matter if we don’t ask patients what they want and need to know? ImproveCareNow is committed to supporting research that represents patient and family perspectives. As part of our funding from the Patient Centered Outcomes Research Institute and the US Agency for Healthcare Research and Quality, we are working with leading health care researchers from Children's Hospital of Philadelphia, Katherine Bevans, PhD and Chris Forrest, MD, PhD (selected publications by Dr. Forrest) to use new ways to engage everyone in the IBD community in setting our direction for learning. They have created a website called Patient Priorities to find out what YOU want and need to know about Crohn’s disease and ulcerative colitis (IBD). You don’t need any research experience to participate. You will be asked to recall moments during your/your child’s diagnosis and/or treatment when you wanted more information, or had questions that were not answered. Maybe you had questions when comparing two treatment options, or making the decision to end a particular treatment. Any difficult moment when you needed more clarity and information is important for researchers to know about. Responses to the 10-minute survey are anonymous and will be grouped with many other responses to develop a list of “Learning Objectives.” Some Learning Objectives may be answered using existing research. Where there is good research to answer common questions, ImproveCareNow will be making more tools and resources for families available through care centers and in our online communities: Facebook, Twitter, here on LOOP, CIRCLE, the ICN Exchange and Smart Patients. Those Learning Objectives that are unanswered and require more research will be added to the ImproveCareNow research agenda. We’ve heard from many patients with IBD and their parents. It would be great to hear from many more to be sure the Learning Objectives really represent a wide variety of experiences. This is an important opportunity for us to shape the future of IBD research. We will be sharing our results and what we’ve learned along the way, so you can see how we’re outsmarting IBD together. Crohn’s disease, along with ulcerative colitis, is also known as Inflammatory Bowel Disease or IBD. 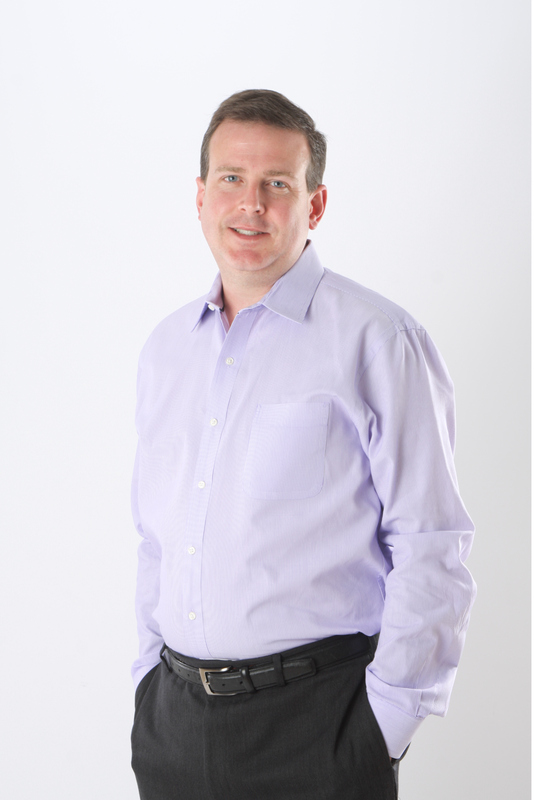 I asked Justin to share the story of Empowered by Kids (EBK), the non-profit he co-founded with two other parents (Tania Moon and Julia Ament-Cox), to fast-track the delivery of hope, inspiration, information and empowerment where it’s needed most. 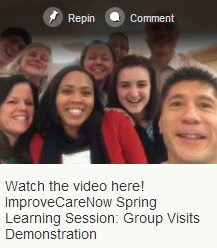 The story begins with an ImproveCareNow (ICN) Learning Session and a greeting card. At his first Learning Session, Justin remembers Mary Jones from Texas Children’s sharing how she designed a card and filled it with greetings from patients and hand-delivered it to kids with IBD staying on the inpatient floor. It was a huge success. Justin loved the idea, so he partnered with an aspiring artist and pediatric IBD patient back at Levine to design a card and then filled it with greetings from patients. He printed the cards and added them to the inpatient care kits the Levine support group put together. The response was amazing! Building on the success of the greeting cards, Justin and the ICN Parent Working Group hatched a plan for a “Book of Hope” - a collection of stories and greetings from parents and patients with IBD, designed to deliver hope well beyond the walls of a single hospital. Enthusiasm for the project was overwhelming! But it was not clear how to pay for it and what the legal implications might be. Sensing the door closing, Justin turned toward the next. For his birthday, he wished for nothing more than the support of family and friends, and was overwhelmed by their generosity. Recognizing this as the opportunity to bring Book of Hope to life, he teamed up with Tania Moon and Julia Ament-Cox, whom he had been working closely with on the project, and EBK was born. In six short weeks, the trio established EBK as a 501c3 non-profit, launched a website, laid out stories from 25 parents and patients with IBD in the first edition of the Book of Hope, and printed 10,000 copies. They arrived at the Fall 2013 Learning Session with hope in hand, and blew everyone away as they unveiled the Book of Hope and invited ICN care centers to order as many copies as they needed (free of charge) to give to all patients and families with IBD across the network. Today, Justin estimates over 60% of ICN centers have the Book of Hope in stock. And it is always available for free download online here. The Book of Hope, like everything EBK creates and shares, is designed for parents and patients, by parents and patients. Everyone at EBK has lived through chronic illness diagnosis, and is still on the journey. Their goal is to make it just a little bit easier for those that come after them by sharing tools and information that empower patients and parents to ask good questions and make good decisions; by providing hope and inspiration as a constant reminder that no one is in this alone; and by bringing together a community of people who will continue to support, inspire, educate and empower one another. In case you’re wondering, Justin still listens for the doorbell. Here’s a sneak peek at some of the EBK doors that will be opening soon. When I’m not leading improvement activities in the ImproveCareNow network, I’m busy raising a family. As a parent of young kids, I do a lot of bedtime reading. Recently, I was reading The Little Prince (Le Petit Prince) by Antione de St. Exupery to Finn, who is 7. After a few pages, Finn just wanted to go back to his other book (I will have to try again in a few years!) but it made me want to reread it after a long time. "Grown-ups love figures...When you tell them you've made a friend they never ask you any questions about essential matters. They never say to you "What does his voice sound like? What game does he love best? Does he collect butterflies? Instead they demand "How old is he? How much does he weigh? How much money does his father make? Only from these figures do they think they have learned anything about him." I am off to Chicago tomorrow for the ImproveCareNow Fall Learning Session. Learning Sessions are a time to celebrate the achievements of the past six months, but also to ponder how best to leverage the strengths of our community to do even more together. The essential questions for us now are: How will this Learning Health System reach and engage and partner with many more parents and patients? How can we pair the right people with the right action – bringing new energy and perspectives to how we run the whole network, and how things are done at each individual care center? We know we will be even better at achieving our aims (the most important of which is getting more and more kids into remission!) with more people working with us, sharing their experience and talents and perspective. So as we plot out next steps for ImproveCareNow, I think we need to stay focused not only on “figures”, but also on “essential matters”. Our many parent, patient and clinician partners are already teaching us the importance and the impact of a story. I know I can’t wait to hear from—and really learn about—more and more of them. The better we know each other, the easier it will be to create the future of ImproveCareNow together and to find joy in learning and leading together. Recently, the ICN Exchange needed to undergo maintenance unexpectedly for two days. 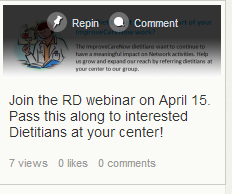 Some people in the ImproveCareNow Network probably noticed it more than others. I know that as someone who has come to rely on it to keep up with what centers are working on and looking at, I was keenly aware of its absence. So you can imagine how thrilling it was when it came back online! Now that the Exchange is back up and running (and better than ever - with plans and resources in place to prevent such outages in the future!) it occurs to me that even a quick glance at the Exchange clearly shows the richness, diversity, vibrancy—and the multifaceted dynamics of our community. ImproveCareNow centers, like Children's Hospital of The King's Daughters, jumping in and collaborating with parents, patients, and other centers to make sure that we are all learning together! Opportunities that highlight how much we really, really want and need to learn from each other so we can collaborate even better! Multidisciplinary partners, like the RD group, are staying connected with each other and getting organized so they can take on projects that will build their visibility and leadership in ImproveCareNow. 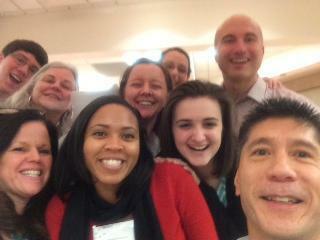 ImproveCareNow QI teams are becoming even more accountable and transparent in their day-to-day QI work. 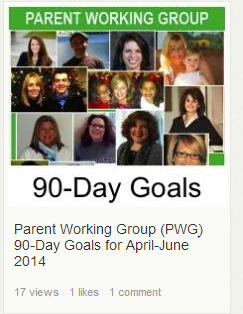 Parent Partners are setting their 90 day goals, tracking their progress and keeping the Network informed! And finally, amazing patients around the country are teaching us more and more every day. And that is just a quick glance! So thank you to everyone who has been a part of helping us build this vibrant community. I, for one, can’t wait to see where the community goes next! The ICN Exchange is an internal knowledge-sharing platform that the ImproveCareNow Network uses to communicate, collaborate and innovate across the miles. Clinicians, Researchers, Patients, Families and Improvers are able to log into the ICN Exchange and share seamlessly and steal shamelessly! The ICN Exchange has enabled ImproveCareNow to extend our “all teach, all learn” collaborative approach to medicine far beyond our monthly webinars and twice-annual Learning Session. It allows us to identify ideas and best practices in pediatric IBD care and introduce them into the care delivery process much faster—improving care for our patients now. Look on Twitter, Facebook, LinkedIn, and many other social media outlets over the past few weeks, and ImproveCareNow is all over the place. Many quotes about “parents as partners,” “real patient engagement,” and “amazing collaboration.” It’s fantastic to see the buzz we are generating. It’s huge, and important, and feels like it will catalyze many others who are working on similar efforts to jump in and do the same. We have a lot to teach now, even as we learn. It’s helping us achieve health outcomes we did not think possible and will probably help others do the same. I’m going to use our recently completed Spring Learning Session as an example. Even just one year ago, planning the Learning Session meant that the core Quality Improvement (QI) project team and I looked at Network priorities and recent lessons learned, identified who would do a good job speaking about these things, and pieced together what usually turned out to be a good agenda for a good meeting. Parents and patients were starting to attend Learning Sessions, but were on the fringes and some would tell you they spent their weekend trying to figure out where they fit in. We felt good about including them, but we didn’t feel good about not understanding quite how we all fit together. What a difference a year can make! In planning for the Spring 2014 Learning Session I found myself watching as unprecedented collaborations between clinicians and parents, data managers and parents, took place across the miles. In one instance, what began as an offhand comment about the potential for a parent panel at the Learning Session, which would address how centers can better engage families in QI work, became a series of many, many emails between a clinician, several parents, and ImproveCareNow staff. Over three months we worked together to co-design the objectives and draft a call-to-action that the panel could deliver to the Network. The result was one of the highlights of this Learning Session. In another instance, a parent asked for permission to use Network remission data in his presentation—the kind of data that he knew could illustrate the ImproveCareNow story best. Again, I found myself watching an amazing email discussion unfold between the parent, our ImproveCareNow data manager and the centers that agreed to have their data displayed in a novel way by a parent. This kind of conversation about data (“send me that,” “no, let’s try it this way,” “yes, that will have the most impact”) happens all the time within ImproveCareNow. But until now, had been limited to QI, data management, communications, and IT staff. I used to believe ImproveCareNow staff and leadership needed to work for the clinicians, parents, patients and others that make up this Network…they were partners, but also customers and we had to make it all work well for them. I now realize it’s all about working with them so they can help us get things right. So yes, I work with the many care teams who are providing more proactive and reliable medical, nursing, nutritional, social work, and psychological support to pediatric patients with IBD. But I also work with Justin, Jamie, Sami, JenJo, Jennie, Tania, Beth, David, and many, many others who have ideas and experiences that also need to be integrated into this learning health system. 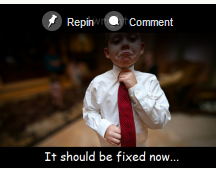 Justin, who made this video, is a parent in the ImproveCareNow network. Collaborating with other parents and with some (minor) input from ImproveCareNow staff, he distills, in less than 90 seconds, this movement to its essence so much better than my feeble words could do.